Home » Game Characters » Detroit: Become Human – A Sc-Fi Classic in the Making? Detroit: Become Human – A Sc-Fi Classic in the Making? Robotics and moral quandaries often go hand-in-hand in science-fiction. This only grows more pertinent as our real-world technology becomes more advanced, bringing the kind of sentient synthetic lifeforms we’ve seen in fantasy closer to being a reality (even if we’re still far, far away from having RoboCops patrolling our streets). The forthcoming Detroit: Become Human is set to focus on such decades-old fears surrounding androids and AI, tackling the ethical complexities of creating machines with the ability to think and feel just as many movies, books, and TV shows have. However, as this comes from Quantic Dream, don’t expect just another sci-fi-themed shooter – this is more concerned with inviting players to make difficult decisions and unravel a rich narrative with numerous possible outcomes. Quantic Dream’s Heavy Rain, Fahrenheit, and Beyond: Two Souls were distinctive (but fairly divisive) story-driven adventures, and Detroit: Become Human builds on their style. The game’s co-writer and director reportedly invested two years into writing the script, which seems to borrow from such groundbreaking sci-fi fare as Blade Runner, RoboCop, Asimov’s Robot stories, and more. For fans of the genre, the above references might be enough to cause real excitement, but Detroit: Become Human could end up being something of a classic in its own right. While there are numerous video games out there steeped in sci-fi tropes and settings, Quantic Dream’s latest appears to embrace the depth seen in the genre’s best works. As anyone who has seen the most recent trailer (in which one of the leading characters faces troubling moral choices over helping a victim of domestic abuse) will know, Detroit: Become Human is not shying away from tackling big themes and real-world issues. Nor should it – as video games continue to become more and more immersive, they’re capable of greater emotional power. Meanwhile, an earlier trailer showcased the activity of one android trying to negotiate with another, which has taken a young girl hostage and committed murder. The game requires you to investigate the crime scene and discover clues, before ultimately negotiating with the android in the hopes of saving the girl. It’s certainly impressive, and shows just how much potential the game has. Both trailers introduce two of the key figures you’ll get to play as, and the gameplay throughout should be fairly varied. 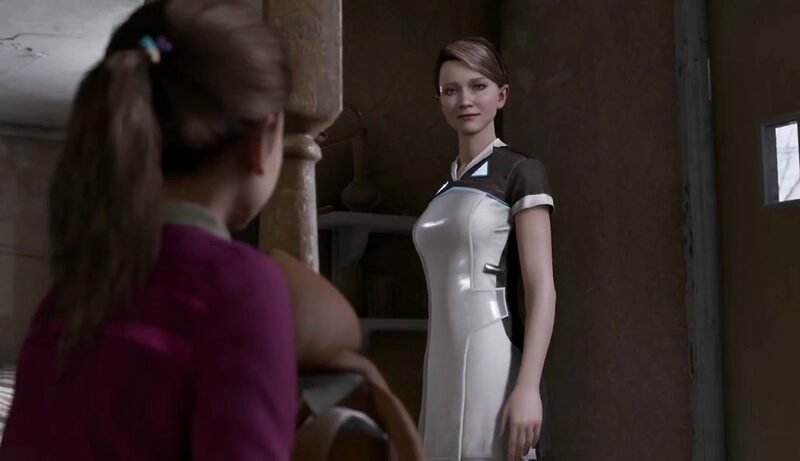 Detroit: Become Human revolves around multiple characters, including Kara (seen in the aforementioned trailer), Connor, and Markus. Kara has begun to experience feelings and has gone rogue. Connor, meanwhile, is a police android responsible for tracking down other synthetics which act outside of their pre-set patterns (all very Blade Runner), and is seen trying to rescue the young girl in the earlier trailer. 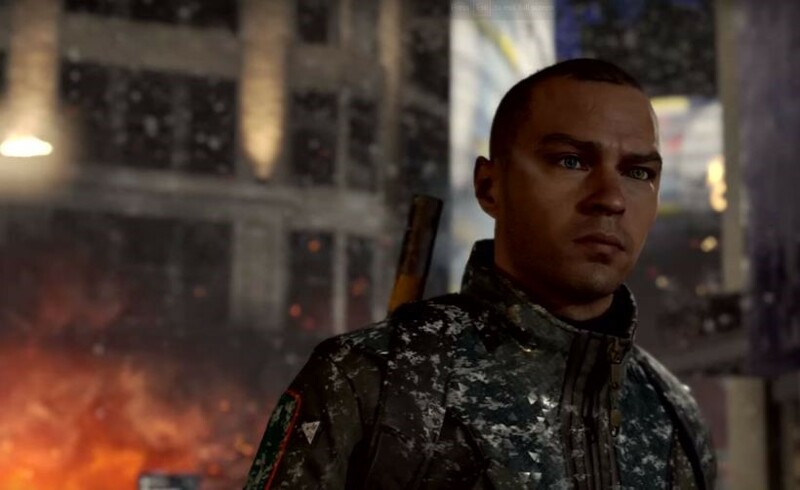 Markus is another android looking to release his fellow androids from the servitude / slavery or which they have been built. He and his rogue androids have created a refuge (titled Jericho), and are fighting to be recognised as equals to humanity, rather than just a race of servants. The characters’ stories run parallel over a few days, and all benefit from what appears to be solid voice-acting and strikingly-realistic animation. Elements of the story sound familiar, of course, but Detroit: Become Human should give players a deep, rich, rewarding experience unlike any other on modern consoles. The game revolves heavily around choices, with different decisions leading you down various branching paths, though players can ‘rewind’ at specific times to re-make decisions you may be unhappy with. Having what is essentially a get-out clause is a nice touch, and if it might seem unrealistic or intrusive to some, it’s worth remembering that you don’t necessarily have to use it. Even if you end up playing the game through after choosing an option you wish you hadn’t, you’ll have extra incentive to give it another go in the future. While other games may offer choices, Detroit: Become Human’s seem more wide-ranging and impactful. So far, it appears that your characters can actually die without bringing the experience to an end, with no ‘game over’ possible. We’re so used to making a bad choice in games (whether that’s picking the wrong weapon, taking the wrong path, accidentally killing a character we shouldn’t, or one of countless possibilities) and simply starting over. Detroit: Become Human, though, would put you in the rare position of seeing how your failure or mistakes affect the rest of the story for the characters remaining – so let’s hope this is as fascinating as it sounds. The game’s team is promising that we can shape our own story and direct the action to one of many different conclusions; as a result, Detroit: Become Human is sure to swerve the danger of simply being a movie with a touch of interactivity. Detroit: Become Human has immense potential to be something really special, satisfying sci-fi fans looking to immerse themselves in the kind of philosophical material they know, as well as gamers who want to try a different type of experience. There’s definitely room in the market for it, but we ultimately won’t know whether Quantic Dream’s game is all that it could be for a number of months yet. 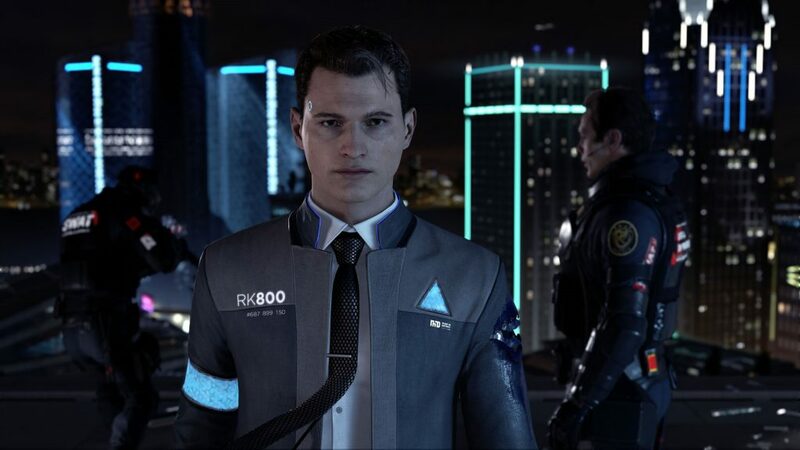 Could Quantic Dream’s Detroit: Become Human be a sci-fi classic in the making? What has you most excited for the game? Let us know!